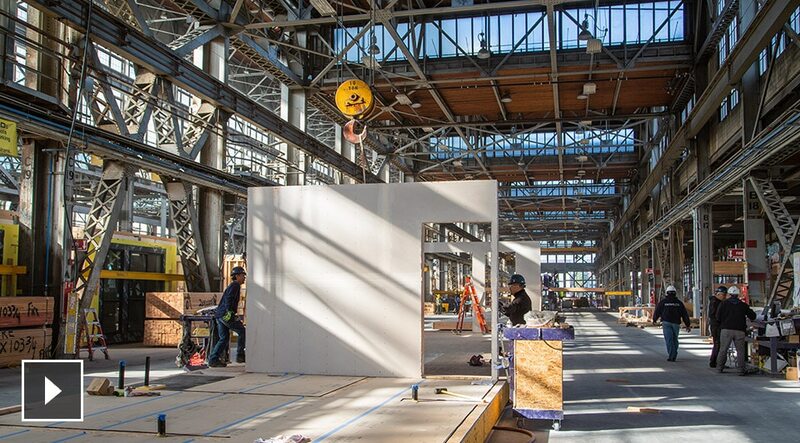 In a massive Vallejo, California off-site construction facility, Factory_OS is industrializing the way housing is built. The company improves productivity and efficiency by constructing modular units on an assembly line in a controlled factory setting to send on-site to make multifamily buildings. Its manufacturing technology allows the company to build high-quality homes faster and at a lower cost, with less waste—all while creating good, stable jobs for local construction workers.